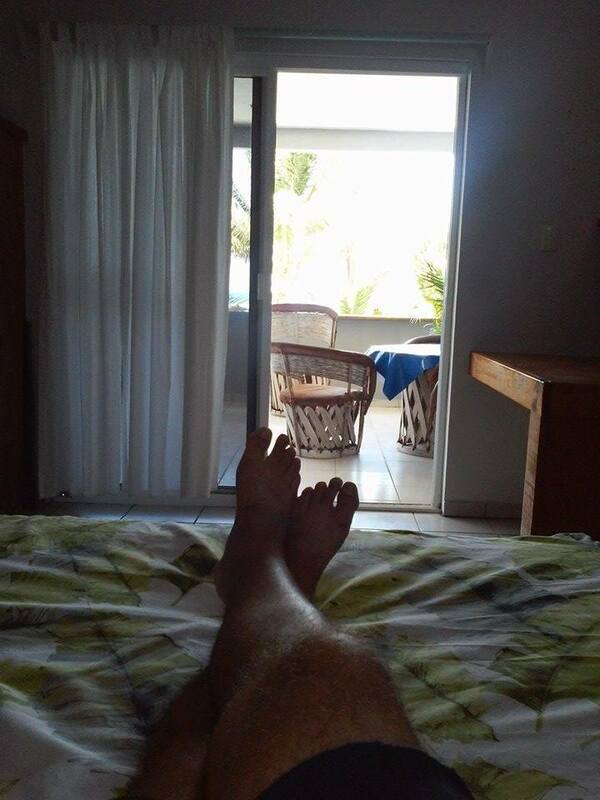 Looking for the best place to stay in Mahahual? That might be a tough choice, because there are a lot of really cool accommodations in the area. But if you want to stay in the town, not remote, and you want all the conveniences of home, like a kitchen, then you might check out the Apartmento Tropicante. It is located right above the Tropicante restaurant, which means it is on the oceanfront malecon, right in the center of town, and on one of the very nicest stretches of beach you will find anywhere in the Caribbean. Just a few hundred feet from the bus drop location and an easy walk to almost anything in town too. The one bedroom apartment is in a great location and beach, and at $600 US a week, or $1,400 a month, the full apartment is not much more than most nice hotel rooms. The apartment has a full kitchen with stove, refrigerator, microwave and most utensils needed for cooking full meals, should you like. There is a huge balcony/living area on the front that overlooks the ocean. 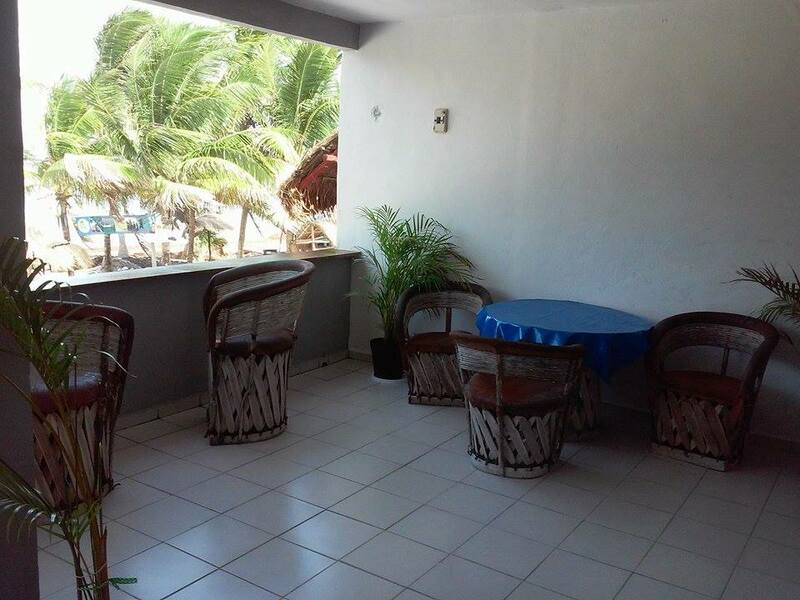 This balcony serves as the living area, with lots of seating, and a bar top along the front that you can belly up to and enjoy the malecon and the beautiful Caribbean Ocean, just a few feet away. Inside, the main room is a dining area, with a coffee bar. The bedroom has a queen size bed, desk and glass doors that walk out onto the balcony. 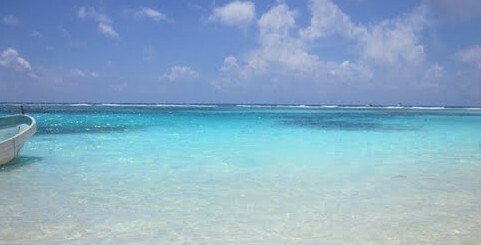 Open the doors and the ocean breezes will fill your world! 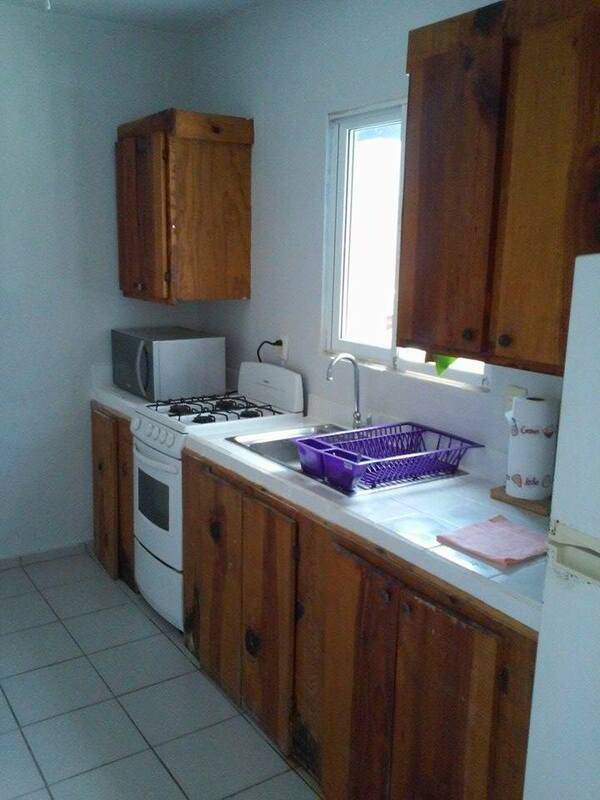 The apartment is a very comfortable unit, with internet, fans and solar hot water, so you never have to worry about getting a nice warm shower. 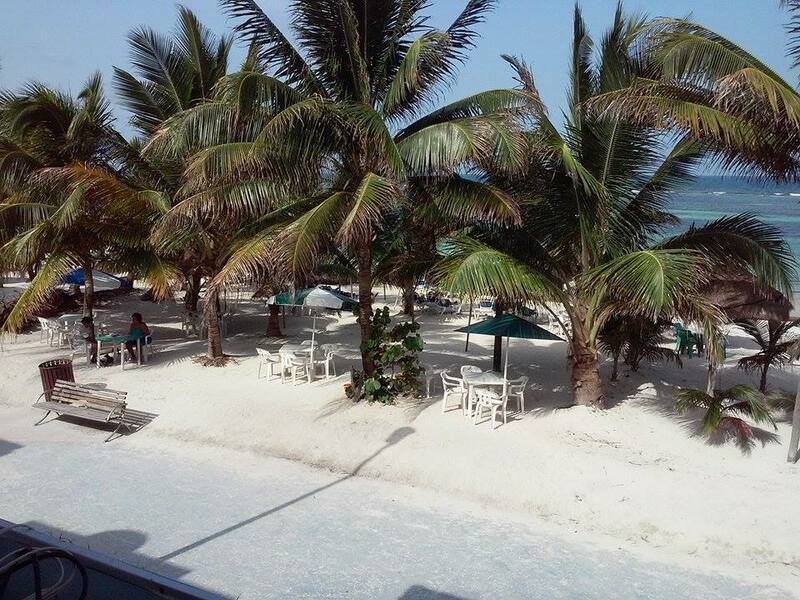 The Tropicante restaurant downstairs will serve meals on your balcony or at your beach lounger, take your pick. 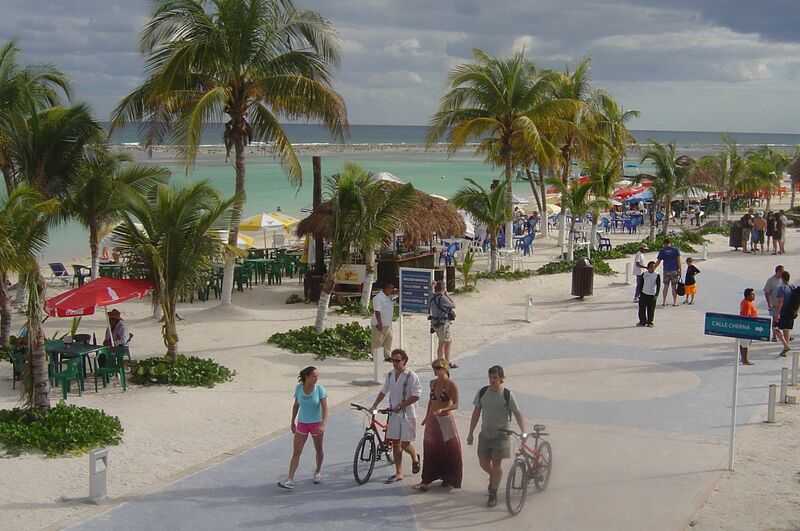 Food and drink packages are available, as well as transportation from the Cancun airport. No worry, the restaurant is not loud and closes at 9 each night, so there will be no loud music keeping you up all night. It is however a good place to hang out and meet lots of very interesting people from all over the world. All right at your doorstep! 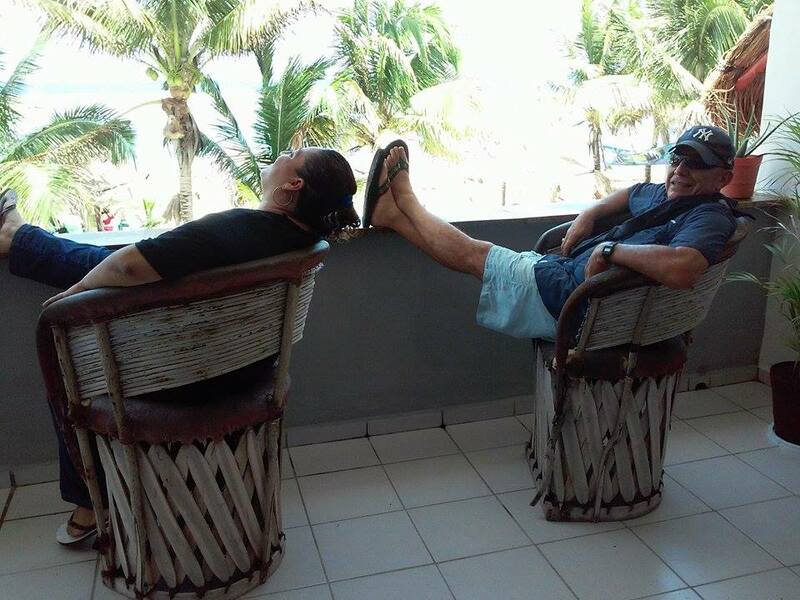 This is a Sandals and Skis property, and just like their Tropicante restaurant and Valet Mahahual concierge service, making sure your vacation is one to remember, as well as one you want to return and enjoy again and again, is our priority. Take advantage of all they offer and let them help you with all your vacation planning, before you leave. From the accommodations, to the transportation, to help with tours and day excursions, their local knowledge helps make your visit an experience to remember. A concierge will check with you each day to make sure you have everything you need that day to have fun. From taxis to get you there, to help setting up your diving, fishing, ruins, whatever, your concierge can get it done right and at the best prices available in town. Our local knowledge is your local knowledge! For more information or to check availability, send Steve a note or give him a call on his US line. 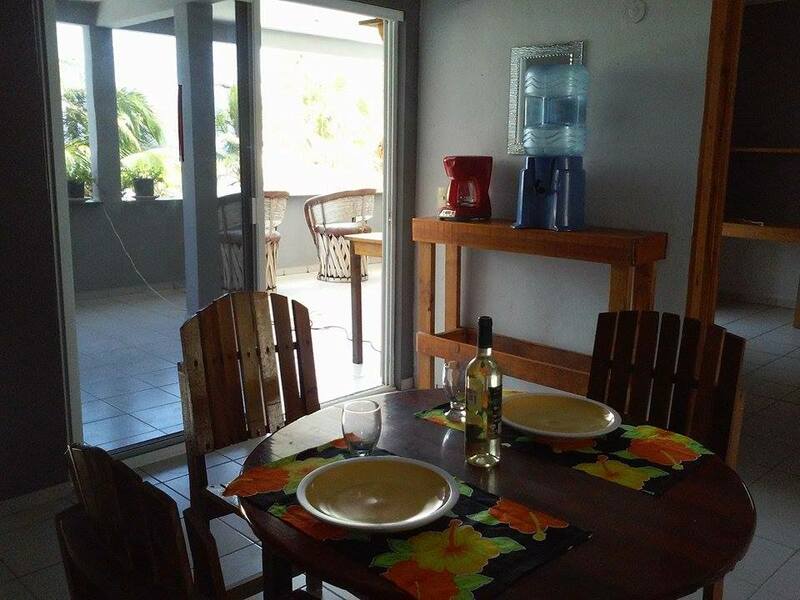 A dream vacation, in a beautiful Caribbean front apartment, is as easy as that call or email. It’s about making it fun and easy, and that is what Sandals and Skis does best. Your vacation is our job and we are very good at our job. Come see for yourself. Hurry, we’re keepin’ your drinks cold! Congrats on finishing your remodeling 🙂 We heartily concur about it having a great view — right in the center of town — having spent much of a rainy day sipping beverage on the balcony one day last December.